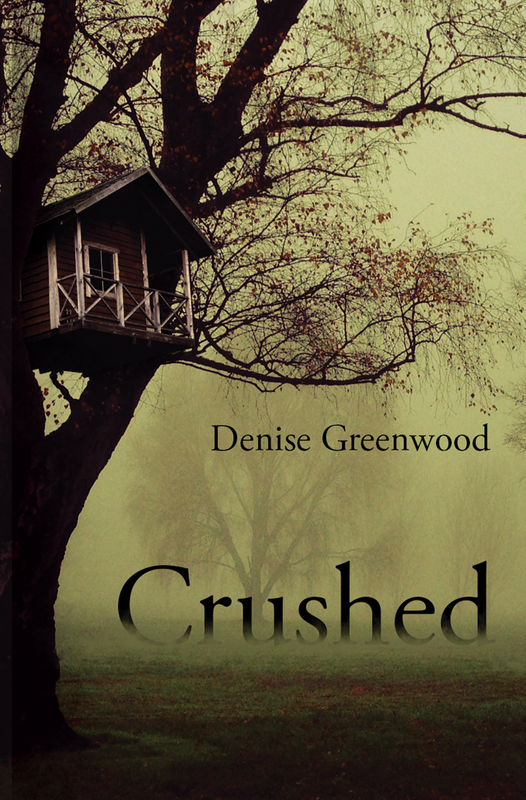 This week, I’m really excited to be talking to the lovely Denise Greenwood about her new book, Crushed, which is out on November 18th, through Purple Pumpkin Publishing. Hi Denise, and thank you for agreeing to be interrogated today about your work. With your latest thriller, Crushed coming out on 18th November, you’ve been pretty busy lately so perhaps you can tell us a bit more about yourself. What kind of books do you write? When do you feel you went from aspiring writer to writer, and how did it feel? I write contemporary fiction (my first 2 books) but my latest novel is a thriller Crushed. Now that I’ve explored my darker side I find that I now feel at home there. I only feel that I went from an aspiring writer to being one when I’d finished a book, left it alone for a while and then read it with fresh eyes and objectivity. At that point the most important thing for me was that I’d accomplished something I’d once thought I would never be capable of. I had a sense of extreme well-being, as though some things in life do not reveal themselves until they are ready to. What were your earliest influences? What did you read as a child? As a small child I began with Mrs Pepperpot (my window ledge read). At that time I loved being able to become lost in her adventures. Then, I progressed through a set of 49 Bancroft abridged classics that were given to me and I was introduced to the world of the Arabian Nights and Little Women amongst others. I began to appreciate the art of wielding words. I discovered Henry Treece and his Viking stories and the art of drawing the reader into high emotions. From there, I went to Tolkien and it was a huge step up before not reading at all during my late teens. I was too busy doing all the things one is told not to. Then, while waiting for a train I found Hardy on a book rack and so began my deep love of classics. I’m into chapter 5 of a new novel and as I prefer my darker side I now want to see just how far I can go into it. I always spend a lot of time planning and researching my ideas and after the intensity of Crushed I knew that to enter that realm of darkness again (but in a unique way) I had to be totally immersed in my new characters and their stories. This is an excellent time of year to enter that zone without the distraction of sunshine. As well as my weekly blog I’m also the short story writer for The Local Link magazine which is delivered to 10,000 homes in my area. I find that writing 800 words for a short story is a welcome distraction from writing a novel and the challenge is to entice the reader quickly then weave a story with a satisfying conclusion. I’m part of the Outsiders on the Fringe Festival at The Baum in Rochdale. I’ll be entertaining an audience for 2 hours on the 26th November. I hope to add a snippet from that to my website to join my recent radio interviews. 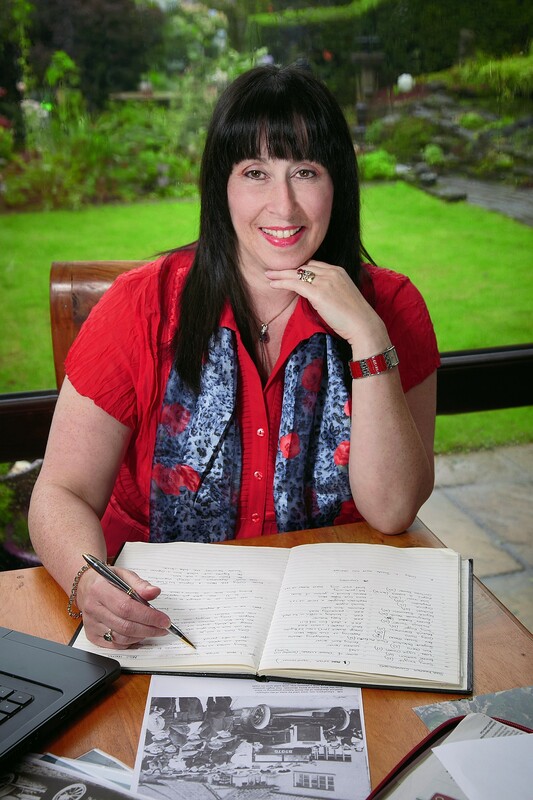 I now live to create more stories and novels but I would like to pen a script at some stage. My memories of sitting on a window ledge are a comfort zone and I’ll always have that to think of but now I’d like to take myself out of that zone. Thomas Hardy and Dickens because they bring together characters whose strengths are often hidden until they are challenged. Robert M Pirsig because he delves deep into the psyche then entices the reader to join him in his quest to answer the big questions. I could return again and again to their books but there are so many authors out there who tap into the imagination that my already full bookshelves would collapse. Living in Littleborough, a village at the foot of the Pennines, I can go in one direction and find city life in Manchester or take another and find myself alone on the nearby Moors. It is a great location as a base but also it feels like being on holiday most of the time. The views and countryside are spectacular. I like to explore, be it art galleries, markets, strange little bookshops, old buildings, cobbled villages or bohemian cafés nestled in the hub of the Manchester city scene. Music, art and film are a big part of my life. I nurture my ideas and imagine possible outcomes for a long while before putting together an outline based on the images I see. Often being in a new place can trigger something and so I return to that place and take photos, notes and speak to people before I begin my research. I cherry-pick from everything I find to create a collage which I can then use to fill out my initial notes. From there I create a definite story line and overview of what each chapter should contain. Writing a book entails using all my visuals and notes as my foundation but I then allow myself to write freely within my framework. I have to get into the zone of being in the scene I visualise and the shoes of my characters so that they can take their first steps. At that point I step away and allow my characters and their stories to evolve. It is during this next phase that new ideas can emerge or my initial storyline can change. Although I am disciplined and like structure I also like the idea of turning things on their heads if I want to. I don’t like writing time-scales, preferring to have an overall target but write freely within that set timeframe. Denise Greenwood, thank you so much for coming along, and all the best with the new book, and the next books!